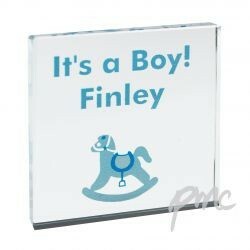 Personalise this Blue Rocking Horse Small Crystal Block with any message over 2 lines up to 15 characters per line. 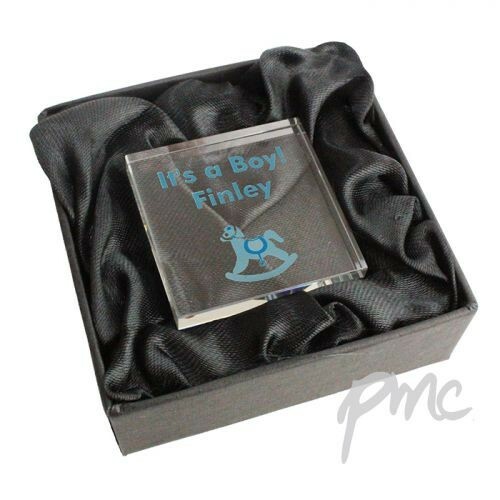 Personalise this Blue Rocking Horse Small Crystal Block with any message over 2 lines up to 15 characters per line. Comes presented in a black gift box. 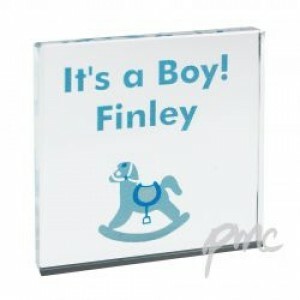 Ideal for Birthdays, Christening, Naming Day.